The rocker recently revealed that work on the project was underway with “Dystopia” co-producer Chris Rakestraw. 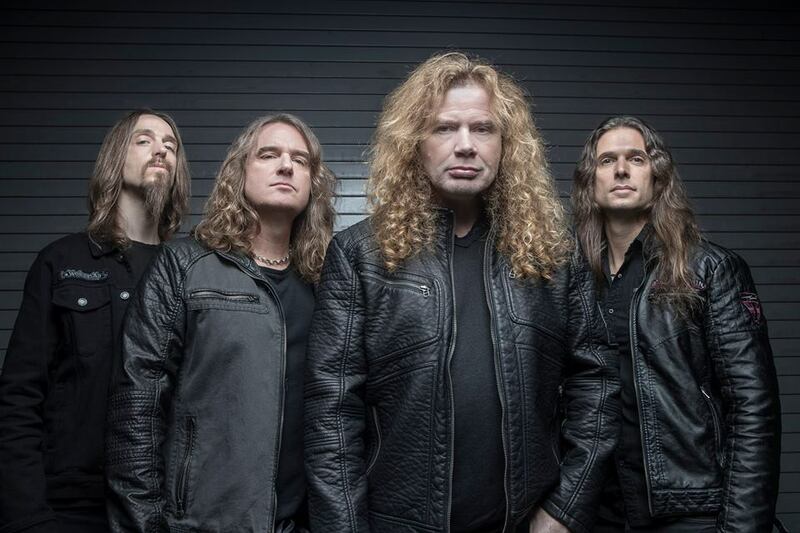 “We've already got a huge head start on this new record,” Mustaine tells The Metal Voice. “[Guitarist] Kiko [Loureiro] just came out to see me, [drummer] Dirk [Verbeuren] was here before him and David Ellefson will be visiting me shortly to start playing some bass stuff. “We're doing things a little bit differently this time; we're kind of approaching the songs one riff at a time and just kind of focusing on the riff, and if the riff doesn't sound good on its own and then why put it in a song? A lot of people, when they write songs, they'll put a part in a section in the song just because they need something in there…for me, I don't like doing that. I don't want that one part of the song where there's a weak spot. “I've tried just about every way to write a song over my career,” he adds, “and I found this way's probably the best way because if you have a riff and it's not it's not carrying its own weight and it doesn't sound cool, how can it possibly sound cool to good lyrics over it." There’s a chance that an unused track from the “Dystopia” sessions may be considered for the the 2019 album. Megadeth are currently scheduled to return to live action when they will join Ozzy Osbourne for a series of summer 2019 North American concert dates as part of the Black Sabbath rocker’s ongoing farewell tour.